Starting on the lens review:- When I first took them out of the little glass jar they come in, I was kind of dissapointed because the lenses looked orange rather than a light brown/honey colour. (You can see the orangy-ness in the 1st picture below) But once the lenses are on your eyes, they blend in very nicely with your eye colour, giving it a natural look and you cant see the orange anymore. Which is good. =3 I really love how natural the Gothic 3 Tone lens series look, the lenses are vibrant yet natural looking. ^_^ One thing I have noticed with the colours is that a some of the colours do look very similar once they are worn. For example "Honey" is only slightly slightly lighter than "Brown" and is very similar. "Blue" and "Sapphire" are also very similar. The lenses have a diameter of 14.5m so they do enlarge the eyes a little. Which is perfectttt! 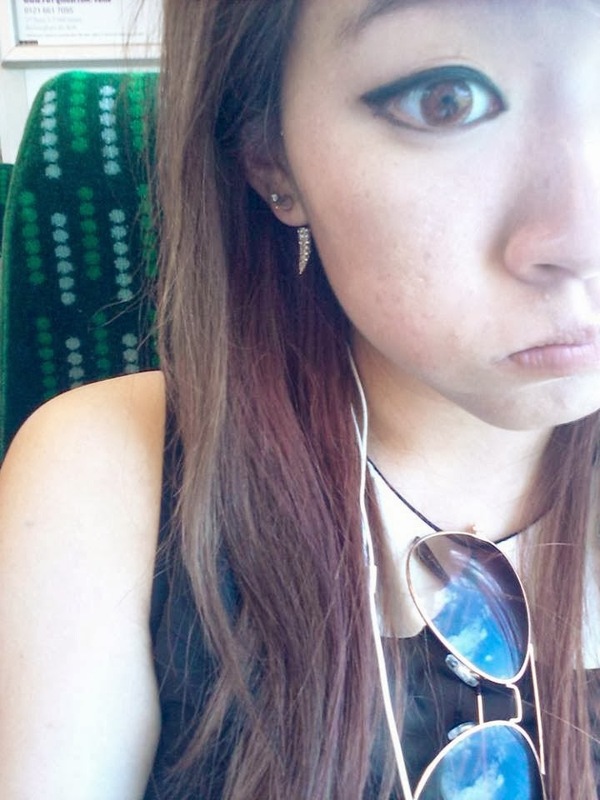 ^^ It is recommend that you wear circle lenses no longer than 8 hours but I wear them for longer kekek. 8 hours isnt enought for meeee! Anyway they dont dry up my eyes or cause any problems even after 8 hours+ of wear and they are very comfortable. The lenses have a lifespan of 1 year so for the price, its inexpensive and affordable. These have now become one of my favourite and go to lenses so I do recommend the Gothic 3 Tone "Honey" if you want a natural noticeable change. Only downside and same with most circle lenses is that you need to wear make up with it to balance it out. If you wear make up everyday its no biggie ahha.